For years Rosen Systems has supported the North Texas Food Bank (NTFB) with anual cash donations in honor of our clients, but beginning in 2010 employees decided to volunteer by spending a day working at the food distribution warehouse. The work involved both accepting and unloading incoming lots of donated food and also distributing food to various rural charitable organizations. The volunteers also prepared packages of food to be given to individuals and families. 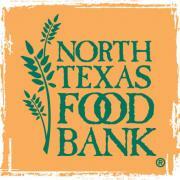 NTFB is one of the most deserving organizations in the area and Rosen Systems looks forward to supporting it for years to come.